Thousands of fishing traps are lost each year in U.S. waters. These derelict traps continue "ghost fishing" and catch fish, crabs, and other species such as turtles, which results in losses to habitat, fisheries, and the watermen who depend on the resources - losses that are largely preventable, according to a new NOAA paper in the Marine Pollution Bulletin. The paper looks at the results of seven NOAA-funded studies in different fisheries across the U.S., and compares the severity of the problem, and common management challenges across the regions. It also reports certain findings from the studies for the first time in peer-reviewed literature, such as estimates of derelict trap numbers and how long they remain in the environment. "Before this report, the marine debris community lacked comparable data on derelict traps," said Courtney Arthur, research specialist for NOAA's Marine Debris Program and lead author of the study. "We had different pieces of information, but not a whole picture. This paper connects those pieces and identifies areas where we need to focus our efforts." "People may not realize that derelict traps can catch not just the target species of the fishery, but also other animals including threatened and endangered species where populations are already very low. 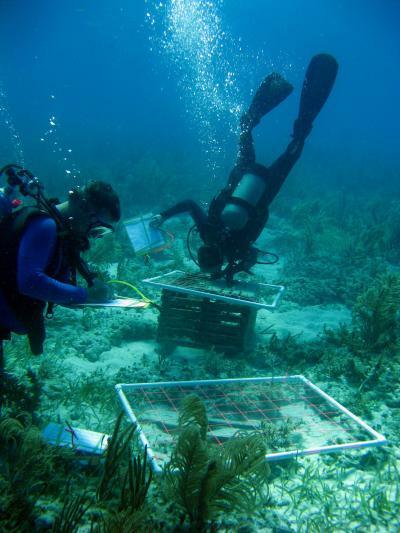 Derelict traps can also harm sensitive habitats like coral reefs and salt marsh so they have a bigger impact than might be anticipated," said Ariana Sutton-Grier, Ph.D., NOAA's National Ocean Service ecosystem science adviser and co-author of the study. "By providing this comprehensive study, we allow resource managers to make more informed decisions that make sense for them and for the fishing industry," said Holly Bamford, Ph.D., assistant NOAA administrator for the National Ocean Service and a co-author of the report. "Marine debris is a continued threat to resilient ecosystems and navigation safety, and by working together we can find better solutions to keep coastal communities, economies and ecosystems healthy." Fisheries in the study include the Dungeness crab fisheries in Alaska and Puget Sound; the blue crab fisheries in Maryland, Virginia, and North Carolina; the spiny lobster fishery in Florida; and the coral reef fish fishery in the U.S. Virgin Islands. All seven fisheries contained derelict traps, with average numbers ranging from five to 47 traps per square kilometer. Further, between five and 40 percent of all the derelict traps examined showed evidence of ghost fishing. The length of time a trap continued to ghost fish depended on the environmental conditions and trap design, but in every fishery, ghost fishing occurred longer than anticipated based on assumptions about gear degradation.